Epoxy Coatings are a mixture of resin and hardener that, when combined together, chemically react to form a rigid plastic-like material. It resists degradation and bonds well to substrate materials. 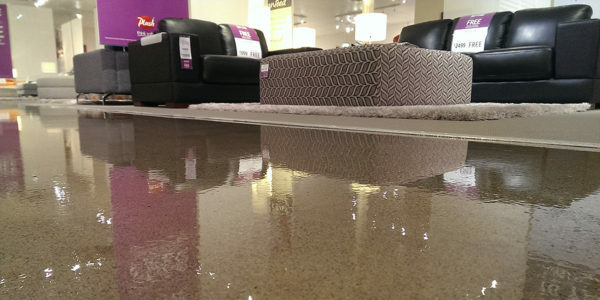 Epoxy flooring is often used as a coating over concrete floors which are rough, porous, and anti-shock resistant. 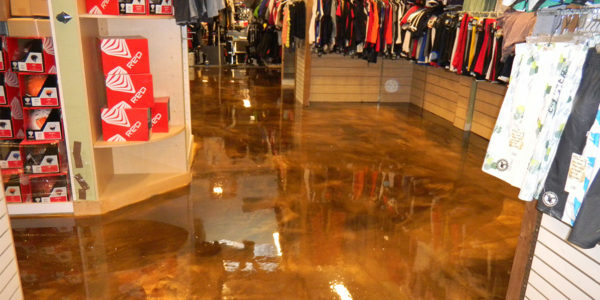 Epoxy withstands rugged wear and tear in industrial settings. 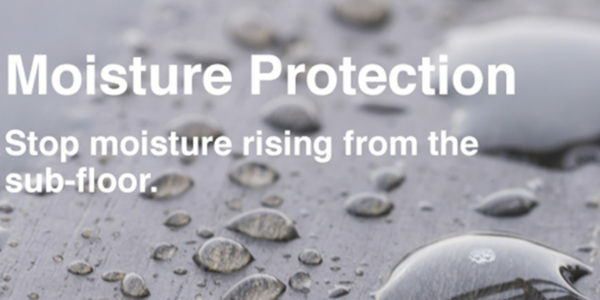 It is slip-resistant, which is ideal for commercial uses. 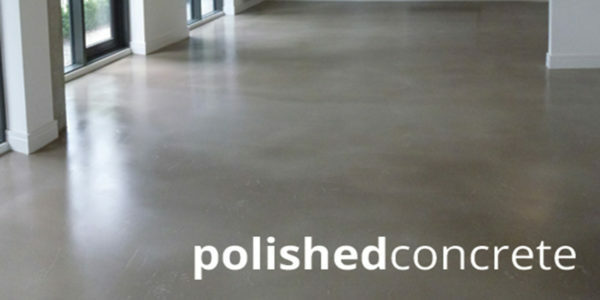 Staining concrete is the most popular way to color new and existing concrete. Concrete stain does more than simply add color. Rather than produce a solid, opaque look like paint or colored coatings, stains penetrate the concrete to infuse it with rich, deep translucent tones. Keep in mind that no two concrete stained surface will look alike. Each floor is unique and one of a kind. 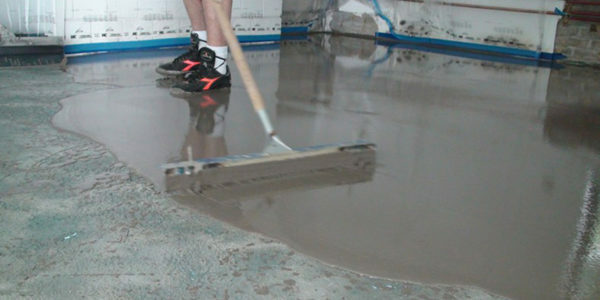 What set us apart from the rest of the concrete floor grinding experts is that we take immense care and apply our expertise in every step of our grinding and polishing process. We use metal bound diamond edged tools that clean off any excess stain, adhesive, glue or paint. 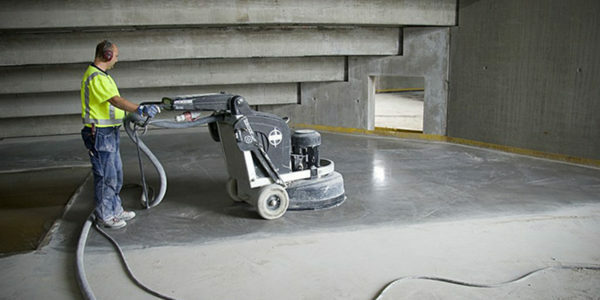 Once we perform the cleaning, the surface is hardened and is flattened, using diamond grinds.